July 31 is trade deadline day in the MLB, and for some General Managers it’s a day to make that last step towards building a team that can make an extended run into October. For the Toronto Blue Jays, in recent years, July 31 has more often been a day to make minor moves, swap pitching prospects, or move some minor leaguers around, since the team has not been in contention for the playoffs this late in the season since 1993. 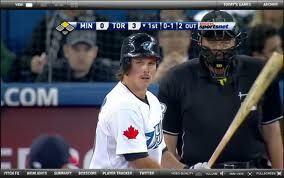 Last season, you may recall, Colby Rasmus was traded from the St. Louis Cardinals to the Blue Jays along with P.J. Walters, Brian Tallet and Trever Miller in exchange for Edwin Jackson, Octavio Dotel, Marc Rzepczynski and Corey Patterson. This trade brought us a steady centre fielder for the next few years, and helped bring St. Louis a World Series Championship. This year, however, fans were stunned by the news that Alex Antholpoulos, our GM wonder-kid, had traded away two young talented outfielders, Travis Snider and Eric Thames. Snider and Thames had been involved in a season-long battle for the starting left fielder spot, and ironically it seems that neither one has impressed Jays’ brass enough to warrant keeping. They were shipped away in separate deals (Thames to Seattle for Steve Delabar, Snider to Pittsburgh for Brad Lincoln) for relief pitchers, to bolster a struggling Toronto bullpen. Travis Snider’s career arc has been one of the most unusual ones of any player in recent years. He was drafted 14th overall in 2006, at the ripe old age of 18, and rocketed through the minor leagues in just about a season and a half. By August 2008, he was an everyday player with the Blue Jays, and impressing teammates, fans and baseball observers alike. However, he struggled with injuries, and management seemed to never really know how to deal with his streaky hitting, sending him down and calling him up at the slightest slump or hot streak. Ultimately, it seemed that Snider’s long-term value was never going to be realized unless he was given a full season or two at the major league level. And, if the Jays could not guarantee that, though perhaps they should have, then perhaps it was best for everyone if he moved on. 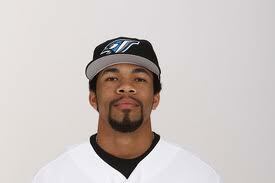 Eric Thames has a more traditional history. He was drafted in the 39th round of the MLB draft in 2007 (then again in the 7th round in 2008 by the Jays), and is 25 years old. He hit well enough in the minor leagues to earn a chance at the left field spot at Spring Training, and in fact did hold that spot for a couple of months early this season. However, his hitting was mediocre, and neither he nor Snider were producing enough this season to earn “untradeable” status, such as Jose Bautista or Edwin Encarnacion have. What is mystifying to some Jays observers is that this trade seems contrary to Anthopoulos’ motto of patience and building from within. It seems more like a reactionary move to help deal with unforeseen injuries. No team has ever won a championship by trading prospect outfielders for relievers, and since this Jay team has no intention of competing this year (as was stated by Antholpoulos and his bosses at the start of this season), it seems that a team that preaches patience and development would do well to hang on to two young outfielders and promote pitchers from the minor leagues to close out this season. Left field (for now) belongs to Rajai Davis and Anthony Gose. The former is a career utility outfielder with a weak bat, average defensive skills and excellent speed on the base paths. 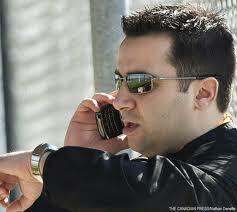 He has often shown a lack of baseball IQ, which has probably hindered his progress as a major leaguer. The latter is a 21 year old just called up from AAA Las Vegas, who has hit very well in the minors (we’ve heard that before) but will need time to adjust to the very best pitchers in the universe at the MLB level. Clearly, the Jays believe in his abilities enough to clear the path to the majors for him. Hopefully, the Jays do not treat him as they did Snider and Thames, and give him every opportunity to prove himself at the highest level. If they do, then their patience may be rewarded by Gose’s development into an all-star caliber player, and the team’s development into a playoff contender. If not, that term ‘re-build’ that we’ve heard so often, may not be too far off. Ya, ok, St. Louis kind of did that last year with the Rasmus trade, but Rasmus had basically argued his way out of favour in STL, and that move was done more for clubhouse chemistry than anything else.